UPDATE: Sam Stosur's good run at the BNP Paribas Open in Indian Wells has continued, with the No.7 seed storming back to beat Mona Barthel in three sets. 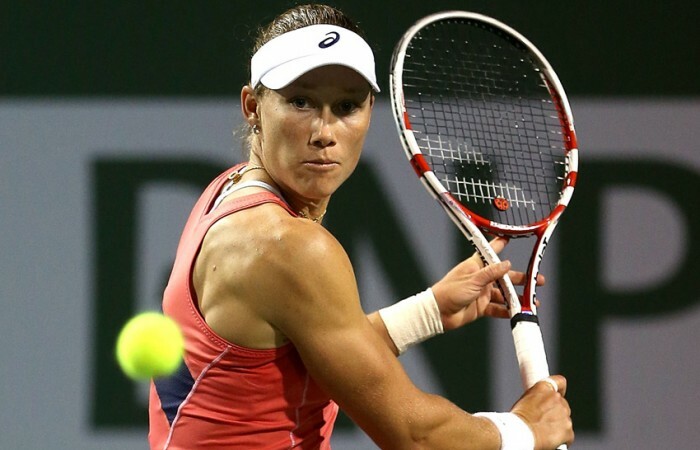 Sam Stosur’s good run at the BNP Paribas Open in Indian Wells has continued, with the No.7 seed storming back to beat Mona Barthel in three sets. 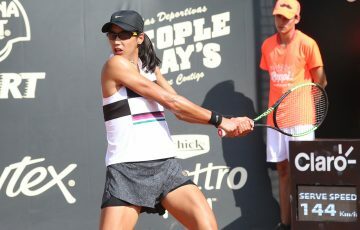 Playing for the second straight day after seeing off Peng Shuai in three sets, Stosur was forced to recover from Barthel’s onslaught before recording a 4-6 6-2 6-3 win. The victory sends the Australian into the quarterfinals, where she will face fourth seed Angelique Kerber, who overcame the challenge of Garbine Muguruza of Spain 6-4 7-5. Barthel, the 24th seed, represented a tricky opponent for Stosur in this fourth-round match up. Not only had Stosur commented the day before that she knew little of the German or her rangy game, but Barthel had also enjoyed a fine start to 2013, winning the Premier title at the Paris Indoors event as well as reaching the final in Hobart and semifinals in Auckland. 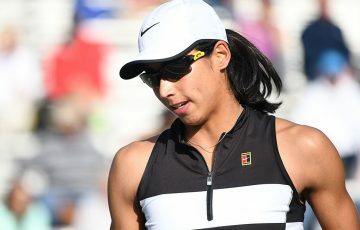 Her upset win over Ana Ivanovic in the third round at Indian Wells took her season win-loss record to 16-4. 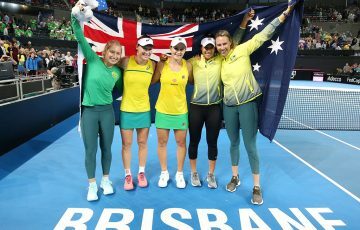 And she continued that form against Stosur in the opening set on Stadium 3, landing 71 per cent of her powerful first serves and watching as Stosur sprayed four double faults. 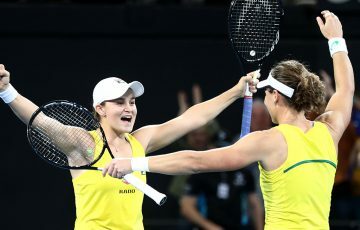 Yet the Australian found her game in the second set, finding the range on her own dominant serve – she never faced a break point yet broke Barthel twice on her way to levelling scores. Soon it was the German struggling on serve, and in the third set Barthel won less than half of points behind her first delivery. 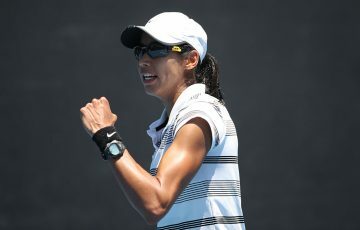 Stosur had by now settled comfortably into the contest, and wrapped up victory in one hour and 48 minutes. The last time Stosur advanced this far in the Californian desert was back in 2010, when she reached the semifinals before falling to eventual champion Jelena Jankovic. She is scheduled to play her quarterfinal match against Kerber on Thursday (US Pacific Coast time).